Welcome to this fantastic collection of 150 puzzles. Packed with the very best traditional sudoku, futoshiki & jigsaw sudoku puzzles, this book is sure to keep you entertained for hours. 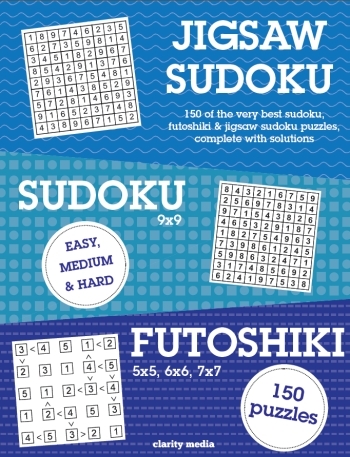 Featuring a range of different difficulty levels, this book is a great way to introduce yourself to other variations of sudoku, with full instructions and beginner entry levels. 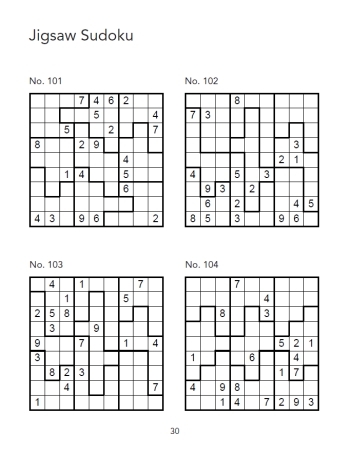 If you are already comfortable with the puzzle types, the more difficult grids are sure to test your puzzle solving skills and see you become the ultimate sudoku master in no time! All puzzles are printed on a large 8.5 x 11 inch page size at 4 grids a page, allowing plenty of room for notes and scribbles. If you need help along the way or want to check your completed puzzle once finished, the back of the book has full solutions so take a peek there!